We all realise the importance of buckling our children safely into their baby car seats every time we drive somewhere – yet one in four parents don’t buckle their children into their seats. This came to light during a recent survey by First for Women Insurance. Road accidents are the leading cause of death in children under five in South Africa. There are more than 700 000 motor accidents on South Africa’s roads every year and as many as three children a day are killed. To make drivers aware of safe practices when it comes to the children in your car, First for Women has compiled a few tips on ensuring your child’s safety in their baby car seat. Buy the best baby car seat you can afford. Cheap seats and even good second-hand seats may have damage that’s not obvious and won’t offer the best protection. If you use a second-hand seat make sure it has all its parts and instruction pamphlet, and that it hasn’t been involved in an accident. Preferably use a seat not more than five years old. 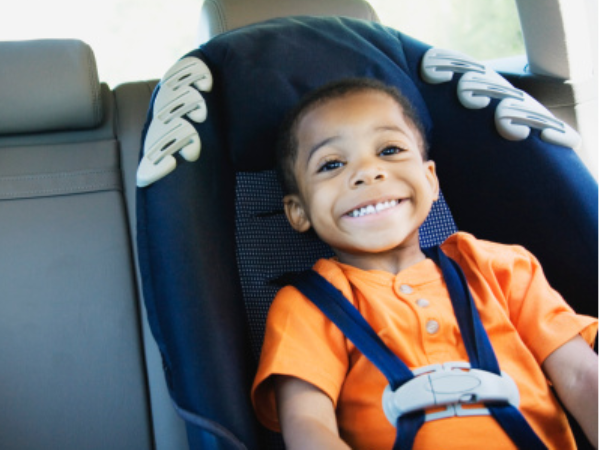 Ensure you’re using the right car seat for your child’s age, weight and height. Your child should be secured in a seat facing backwards until they’re at least two years old. Children should use a pillow to raise them until they weigh 18,5 kg or have reached four years of age. Always make sure the seat is installed correctly and can’t move more than a few centimetres from side to side. The seat should be securely held in place by the car’s seatbelt. Always check the seat’s belts and make sure your child is securely buckled in but still comfortable. Fasten the buckle at about arm height. If you fasten it lower your child might shoot out of their seat in an accident. Always set a good example by wearing your seatbelt.